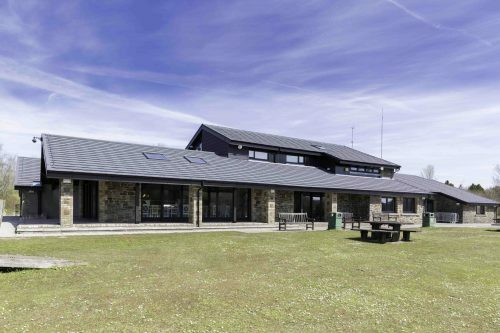 Metrotile Lightweight Steel Roofing now adorns the rooftop of the Bryn Bach Country Park visitor centre near Tredegar, South Wales. Installed to replace the previous leaking so-called ‘traditional’ material roof, that was allowing water ingress in the cafeteria area, the new Metrotile roof has given the facility a new lease of life and an attractive makeover, in time for the busy summer season. Some 2,600 of Metrotile’s vandal proof Slate 900 profile, each covering almost half a square metre but weighing just 4.6kg, now cover the 1,300 square metres roof of the visitor centre. For more information regarding how Metrotile Lightweight Roofing can be used for your roofing project, visit our contact page and get in touch.